Casa Sulo, Alombada, your holiday destination, is situated in an idyllic rural working village at the top of a mountain surrounded by the refreshing fragrance of eucalyptus forests and uninterrupted views over the distant mountains of the Serra de Arada. It is suitable for all age groups, families, reunions or just couples who want a relaxing break. However, there is no wheelchair access. The two self-catering chalet apartments are of the highest standard with your comfort in mind. 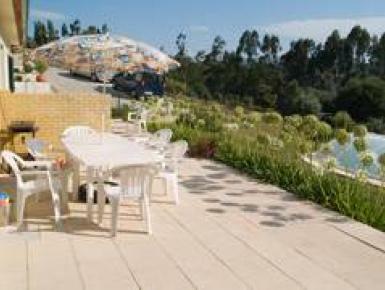 From Porto airport take the easy drive southwards along the A1 / E1 over the river Douro towards Aveiro. This takes you into the real Portugal with its spectacular scenery, and people who are famed for their traditional way of life and hospitality.